In today’s trade show world, exhibitors and sponsors are seeking ways to provide more interactive brand experiences and impressions that are more memorable. Whether physical or digital, the key goal is marketing initiatives that will engage with a target audience and cause them to take action. Over the last year, we’ve seen trade show booths and the media surrounding them are evolving. Brands are looking to set themselves apart, as well as share their story through their booth and digital content. As a result, booth designs are changing to incorporate more interactive elements and keep the engagement flow in mind. They’re constantly reworking and refining their environment to be more relaxed and inviting. They offer something to the attendee besides the expected branded tchotchke. So, in 2018 we saw brands exploring new environmental and experiential offerings. In 2019, we’ll see brands with an even deeper focus and bigger investment in creating one-of-a-kind, memorable experiences for attendees. Engage in a deeper way with an audience by creating a more intimate, personal touchpoint. Organized offsite events or parties during one of the event days gives your brand the opportunity to interact with attendees, while fulfilling a need, in a unique setting. When it’s a private event, you can provide specific food, drink and, most importantly, branding. These alternative settings are an opportunity to showcase your brand in a controlled method, away from any distraction. Examples of this can range from a less formal setting with information sessions to a more exclusive, themed, invite-only event. What’s important is creating a distraction-free, uninhibited opportunity to engage with a target audience. Plus, you can include branded elements, like custom printed napkins and barware, even a take-away rocks or pint glasses. Throw a Party – Offer a cocktail or evening party in a relaxed setting where you can get to know potential customers more personally. Host a High-End Dinner – Create an elegant experience where attendees feel dignified and know you pay attention to the details. Offer Outside-the-Box Sessions – Hold demos or sessions in non-traditional places to help spark attendees’ interest and creativity. Another trend we’ll see is valuable experiences that are not branded. There’s value in creating a great initial experience for people to interact with you, then later rewarding them with something branded. This approach puts the focus on the person and their experience, rather than pushing your brand, and can create a more positive association. Brands will recognize that an opportunity to participate in an experience can go a long way for peoples’ brand recall. A customer experience study from O’Keefe says 89% of customers say they have switched brands purely based upon their customer experience. By removing some of the branded elements, you can make an experience stronger and see better results. An opportunity to play a game or win a prize means someone is spending more time and energy to interact with your activation. Then, down the road, they may remember or tell someone about the experience, and your brand is instantly tied to that recollection. Check out our previous blog, What is the Power of an Experience?, which discusses this in greater detail. The ultimate way to engage with audiences will be with new technology. Introduce them to a new innovation or utilize existing technology differently to creatively present your message. Don’t limit your creative delivery to static displays or just a video. Find a way to be interactive, engage the audience, and create a conversation. Bring them into the brand experience with a multisensory activation. AR and VR are incredible ways to bring an otherworldly experience to an event or trade show floor. With a very simple, small footprint, you can easily transport your audience and have them literally interact with your brand, product or even people! 360 Video – Surround your attendees in an environment that displays video of your product, brand or users in action. 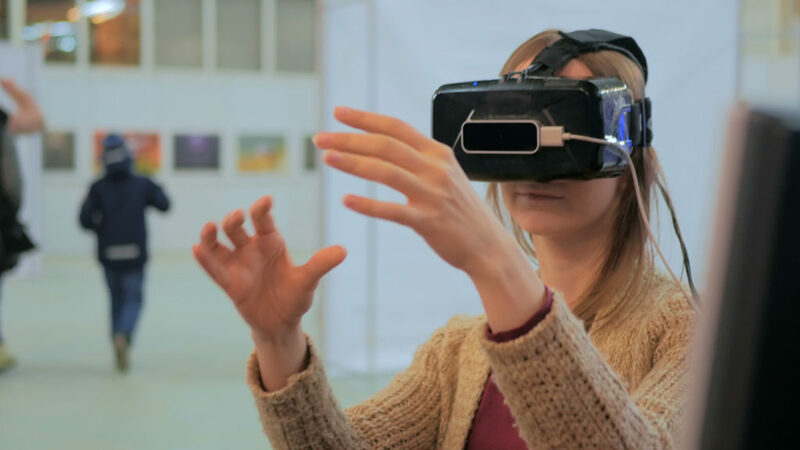 AR/VR Demos – Introduce your attendees to a virtual world where they can see and experience how your product is used. Holographic Displays – Create high-definition 3D holographic displays of your product and branding, seemingly suspended thin air! Video Wall – Allow attendees to move, zoom, flip and spin your product as they interact with a virtual rendering on a big screen. Perhaps the most vital trend we’ll see in the coming year is brands implementing trade show marketing as part of a more integrated strategy. 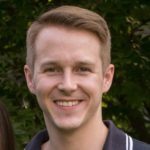 Brands will treat trade shows as a connected part of their marketing mix. Historically, brands unify messaging across their out of home, digital, print and social media channels; however, trade show marketing was left to stand on its own. 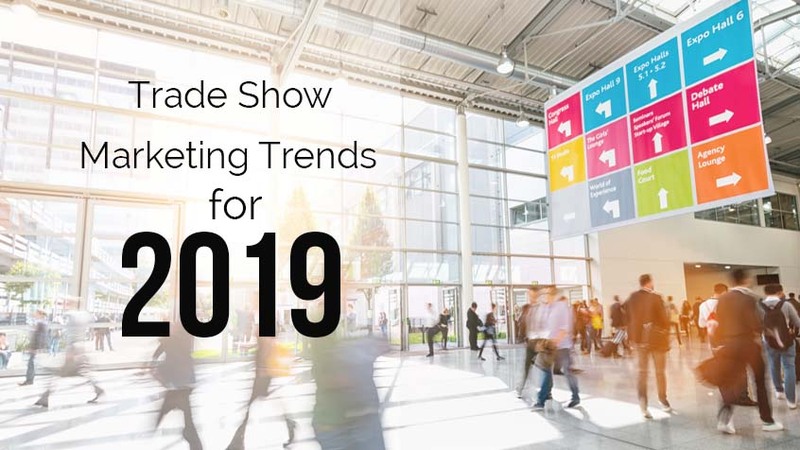 In the year ahead, marketers will better understand the importance of marketing at trade shows and around the market. That a brand’s messaging and activities are only effective if they are cohesive. As trade show marketers and planners, we’re excited about the trends we see in the landscape before us. We’ll continue to develop better and more effective ways to deliver value and information for brands and their audiences. Find out more about these and other predictions our team has for 2019. Connect with us using the form below!